A nationwide casting call is going on now for 2 teen roles, 1 lead role and one supporting, for the feature film “Louder Than Bombs” which will star Jesse Eisenberg, Isabelle Huppert and Gabriel Byrne. Joachim Trier is writing and will also be directing the new film which is scheduled to shoot in the New York area. The new film will be a family drama starring Gabriel Byrne as a father of 2 sons. 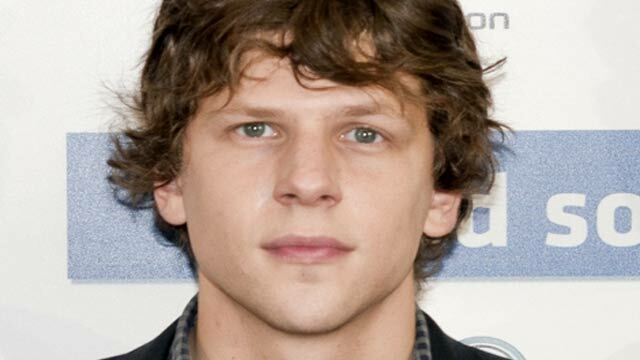 The older son will be played by Eisenberg (The Social Network), the younger son’s role is up for grabs. Also, the film is casting for the role of his son’s female, teen, classmate. You can see the character breakdowns below. The story is about a famous photographer (Huppert) who suddenly dies. After her death, the family discovers some startling secrets. The film’s casting directors are looking for 2 teen actors to play the roles of Conrad and Melanie. Both roles are to play 15 year olds and they are accepting submissions from teenagers between the ages of 14 and 16. The film has setup a website to take video auditions. There are also submission instructions as well as sides available to help actors create their tape. If you would like to tryout for the parts, you can click here. There is a deadline for actors to get their videos uploaded which is the 22nd of this month. 14-16 to play 15, Caucasian. The son of Isabelle and Gene, younger brother of Jonah. Nerdy, insecure, pubescent and pensive. Has a mysterious quality about him, lonely and without friends. His exterior and interior dont necessarily match: awkward, combative and aloof, it is reasonable to suppose he could be a dangerous kid, but in fact he is genuine, surprisingly empathetic, an idealist – and even a romantic. LEAD. Female, 14-16 to play 15, open ethnicity. A beautiful, popular girl from Conrad’s class. Completely out of Conrad’s league. Not the best student – often mispronouncing words and emphasizing the wrong parts of sentences. However, like Conrad, Melanie’s exterior and interior don’t necessarily match – we find she has a depth of feeling and understanding that we might not have first supposed. SUPPORTING. “Louder Than Bombs” should begin filming later this year and is currently scheduled to have a 2015 release date. I would like to play in this awesome movie. I grew up with Sleeping Beauty and Snow White. DOESN’T DISNEY NEED A NEW FRESH FACE? A face that is willing to travel half the globe? A face that for once isn’t American but Swiss, British, Dutch and Indian? Who has a passion for acting since the age of six and who is good at it? Here is my CV and email me the details please. I am willing to travel if/when I get the part. Hi my name is Jazmyne. I have brown hair and brown eyes. I would love to play the part of Melanie. I’m 13 but will be turning 14 in a couple months. Every one thinks I’m 16 though. I will turn 14 in January. I am Caucasian, Brown hair, brown eyes, and a smile on my face all the time. Hi my names Amrit Chera. I’m 13 to be 14 in a couple of months but everyone thinks I’m like 16 because of my maturity. Anyways I would love to play the role of Melanie, I have black/brown hair, brown eyes, and I’m experienced in acting please contact me! Dark brown curly hair and brown eyes. I’m multiracial: African American, and white with a bit of Native American Indian. My name is Earl Poblete and I’m a Filipino. I am that kinda Nerdy type of guy because I used to act as a nerd in our school film project. I’m actually a Musician, Singer-song writer, young Film Director, Martial Artist and Magician. I’ve been a fan of nickelodeon since Blue’s Clues to iCarly. I truly want to participate because I can try to show my best. Hi! My name is Shailynne, I would be honored to be able to obtain the role of Melanie! I’m biracial, African American and Caucasian. I have brown eyes and brown loose curly hair. I am 5’3 and just turned 16 years old! I’m also a competitive dancer. please contact me if interested! Hi my name is Tracy Willemse and I am 14. My hair is blond and my eye are green. I am white, I want to be in your movie so please help me to be in it. I love to act and sing. I live in South Africa, in Cape Town but my father said if I get the part we will move to New York. please make my dream come true. I love to act and sing and I would love to be in this movie. I am 15 and I do cheerleading! I would like to try and audition for Melanie. I am an African American female, 15 years old, an experienced cheerleader and I am interested in the role of Melanie.